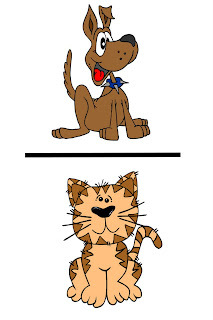 I have been trying for a while now to put an equals sign between these two images. Can you just imagine one? In the past, I couldn't figure out how to do equations that used proportions. They were like a foreign language to me. Then one day my friend Patty who tutors math explained it to me. She said dogs are to cats as dogs are to cats. In other words dogs/cats = dogs/cats. You must put the SAME thing on the top of the fractions on each side of the equation (or equal sign). Do you see how the dogs are each in the numerator. You must also put the SAME thing on the bottom of the fractions on each side of the equation. I call this EASY STREET for my visual learners. I tell them the equal sign is the street. When they see two fractions on either side of the street, they must "cross over" to the other side. What this means in mathematical terms is that you are going to cross multiply. The numerator on the left side will multiply with the denominator on the right side. The numerator on the right side will multiply with the denominator on the left side. 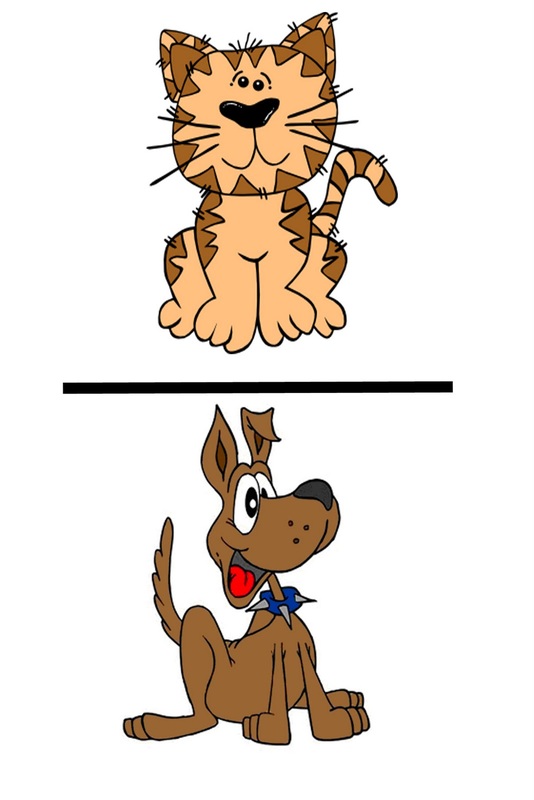 So, the result is dogcat=dogcat. Yes, we are basically crossing genetic laws here, but it's math and we need to explain it so that they will REMEMBER it. Let's replace this image with a REAL problem. If the word problem gives you a dollar/money amount for two items to compare, create two fractions on either side of an equal sign. In the numerators of both, place a dollar sign. Do you see that I put like obects on top and like objects on the bottom? We don't know how much 12 muffins will cost, so we are placing an X there to solve the equation for. Now, we cross multiply across the street (equal signs). Step One: $9 x $12 = $108. Step Four: Divorce Court (in trying to split up ANY number from an unknown (x) divide both sides of the equation equally).